It is important to take care in winters from the cold winds to remain fit and fine. In cold seasons if you are certain to stay out then you have to protect yourself from the freezing temperature. The use of heated jacket will provide you perfect comfort in the chilled climate. It is different from the ordinary jacket that will surely keep you warm by releasing heat within the layers of the fabric due to the battery-operated the system. 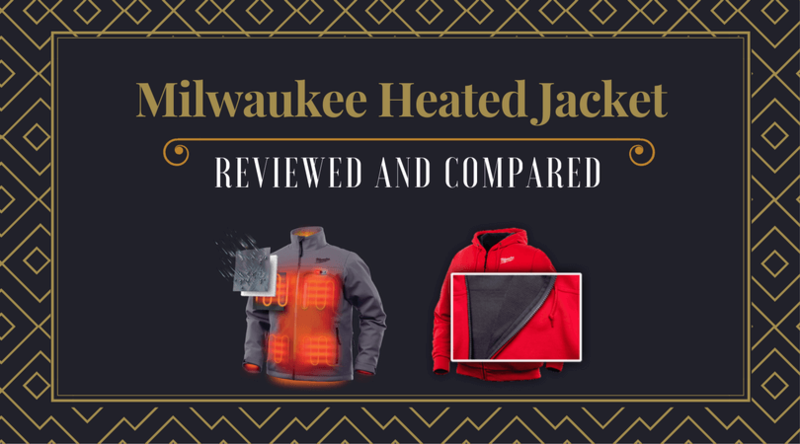 Here in this post, I will discuss Dewalt Heated Jacket Reviews so that you become aware of the pros and cons of the same. In heated jacket field, Dewalt is the late comer that deals with diverse varieties of the heated jacket. It is the top-notch brand that designs jackets slightly larger within the upper arms and torso for more space. It provides the loose fit that does not get clustered. It uses 20V/12V Max batteries. Its material is soft shell Polyester. For charging portable electronics, it has USB power source with 2 USB power ports. The three temperature settings (high, medium and low) is offered by LED controller. It also incorporates pre-heat function. The outer shell is twilled by the water and the wind resistant cotton. It has three core heating zones – upper left, right chest, and mid-back. The durable fabrics are used to build outer shells that are wind and water resistant. The users will get warmness and coziness on or off the Jobsite due to these heated jackets. The USB power source transfers the heating power from the battery to the jacket and can charge up to two USB-compatible electronic devices. In cold climates it allows the user to wear more layers underneath due to its looser fit. You will enjoy the softer exterior material. The water-resistant polyester is used to make soft shell jacket. In battery pocket, the battery is placed that increases to receive the Premium 20 –volt MAX batteries. The USB cable routing ports in the jacket lets to reach to the inside left chest from the battery pocket due to which the cell phone is also charged accessibly. How long the battery works? The DEWALT jacket has “pre-heat” mode that provides heat to your jacket quickly. In chilled climate, it provides quick relief. Whenever you are feeling cold, and you require instant heat to warm yourself, then you can switch on the battery of the jacket. The battery can be drained faster due to “Pre-Heat” mode. The working of the battery depends on how much you consume. Some persons switch off the jacket when they are involved in physical work like climbing the stairs, lifting something or any serious exertion. What will you get in DEWALT DCHJ061C1-L Heated Jacket Kit? You will get one Dchj061c1 jacket, one 20V/12V Max USB power source, one DCB201 20V-MAX battery and a DCB101 20V/12V charger. This self-heating jacket comes in a perfect size for men and women from DEWALT. Not only DEWALT heated jacket provides warmth, but even DEWALT heated vest is responsible for hours of body heat and incessant hotness. The features of Dewalt heated jacket and vest are almost same. Both will provide relief from coldness. What the Dewalt jacket lacks? Comparatively the zippers are not so much helpful. You will find it bulky due to battery pack and controller. The battery plus controller are bigger as it uses the DEWALT 12V/20V slide packs. It is the beautiful, well-made product that will keep you warm in chilled weather. The great heated clothing will keep you safe and well. By using it, you will get satisfactory results so you can even recommend it to your friends and relatives. In hilly areas where the temperature goes to minus, then Dewalt Heated Jacket will provide protection from the wintry weather. It is the entire garment for extreme expediency. It fits well. On the job site also it serves well. In heated gear, the Dewalt maintains the industry standards. It has the perfect fit with minor adjustments. Dewalt has two USB with the best adapter. It can remove the hood. The batteries and fit are great. The four zones will make you warm.